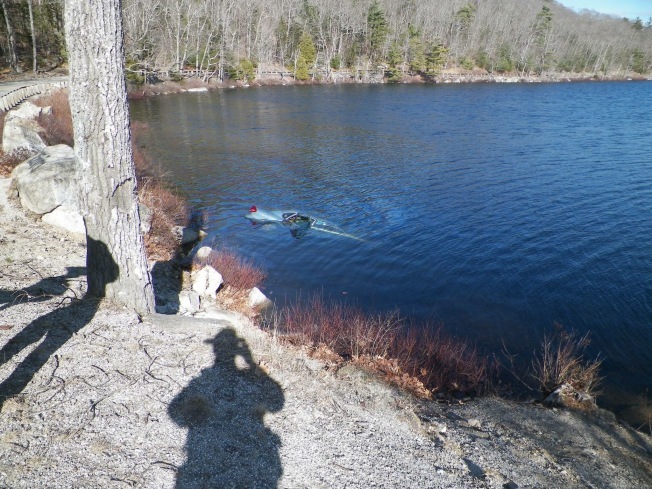 A couple that went fishing saved a woman and her two young children from drowning after her car went careening into a Maine pond. Maine State Police say Mandi Parker, 38, of Jonesboro, was driving her car from Bangor on Route 182, when she approached a sharp curve and lost control of her car. According to police, Leonard Wallace and his wife Rosemary were fishing when the woman's car went over Leonard's head and into Fox Pond. Leonard jumped into the pond and rescued Parker and her children, 2-month-old Tanner Kjenstad and 3-year-old Georgia Parker, from the sinking vehicle. Leonard first saved Kjenstad, who was floating in the back, by opening the door against water pressure. He left the child with his wife at the bank of the pond. 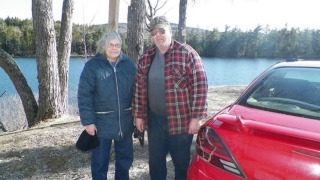 Parker was helping her second child when Leonard returned to the partly submerged car and brought them to shore safely. Maine State Police, who later responded to the scene, said that Fox Pond is in a remote area of Hancock County and there is no cellular reception. Police also said that the sinking car would have likely not been seen by passing drivers, and credited the Wallaces for their quick response. Parker was returning from Bangor’s methadone clinic and police say she had a suspended license and had been drinking alcohol. She was charged with operating after suspension of her license and additional charges may be filed. The Maine Department of Health and Human Services took custody of the children. Maine State Police tells necn it is not known if Parker has an attorney.